For many in an isolated country, a 4G smartphone is their first taste of modern consumer luxury. Its proliferation, in a country where a SIM card once cost more than $2,000, seems an example of “leapfrog development,” in which economically backward countries take quick shortcuts to modernization and urbanization. Of course, in Myanmar as elsewhere, inexpensive Chinese brands such as Xiaomi, Vivo and Oppo make it easier to project an appearance of affluence and entrepreneurial dynamism. A poster dubiously advertising, “Rolex — Opening Soon” at a construction site in Yangon’s crumbling downtown is a good reminder of the limitations of a consumer revolution in an overwhelmingly poor country. Myanmar’s GDP may be growing at more than 8 percent. But the economic challenges in this country, where 70 percent of the population is employed in low-yield agriculture, are rendered formidable by crumbling and non-existent infrastructure, archaic laws, unskilled workers, low tax revenues, budget deficits and high inflation. Long power cuts, housing shortages and gridlock traffic still define everyday life for city-dwellers. Debt crushes many in the rural population. Far from leapfrogging, Myanmar, recently liberated, and only partially, from military rule, is inching up a steep learning curve under its first elected government in more than 50 years. Its first experiment in self-rule ended, like that of many multiethnic and poorly imagined nation-states in Asia and Africa, in civil war, the empowerment of the military and eventually a coup in 1962. The outcome of its second experiment still depends a great deal on how Myanmar’s new leaders deal with the country’s restive minorities. Certainly, their agenda is full. 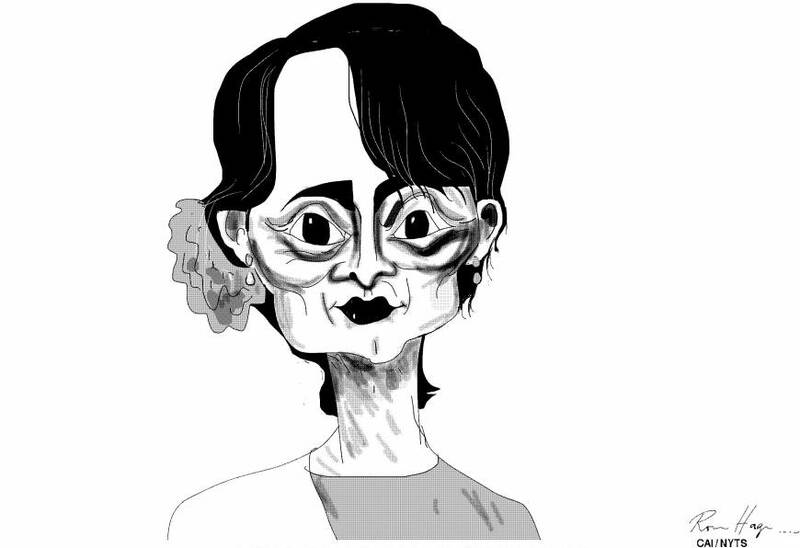 Last week the headline in one of Myanmar’s English dailies read: “FM crams for China visit.” It referred to Aung San Suu Kyi, who holds the office of “state counsellor” and foreign minister (and several other portfolios in an attempt to circumvent the constitutional bar on her becoming president). Suu Kyi was visiting China in her first major foray outside Southeast Asia after her party, the National League for Democracy (NLD), was elected to power four months ago. Her biggest challenges, however, are at home. Of Myanmar’s numerous sectarian conflicts, none has challenged her moral authority as much as rising anti-Muslim sentiments have. In 1982, Myanmar’s military rulers stripped the Muslim population in the western state of Rakhine of citizenship, despite their centuries-long presence in the region. More recently, while transitioning from military to civilian rule, Myanmar has witnessed an explosion of hatred, not only in Rakhine, where in 2012 mobs killed scores of Rohingya Muslims and drove more than 100,000 from their homes, but also in other parts of the country. The advent of electoral democracy this year and the empowerment of an international icon like Suu Kyi don’t necessarily presage a change in the circumstances of besieged minorities. Even the Dalai Lama has expressed his disappointment with Suu Kyi’s less-than-Buddhist silence over the plight of Rohingya Muslims. Sporadic mob violence continues to drive Muslims into refugee camps, or onto rickety boats sailing for Malaysia, Thailand and Indonesia — perilous journeys with extortionate human-traffickers that rarely end well. I met the daughter of a former legislator in Rakhine who now languishes in a refugee camp near his old house in Sittwe. She had herself escaped Rakhine after bribing an immigration officer. 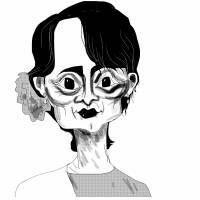 Like many others, she was increasingly pessimistic about Suu Kyi’s capacity or willingness to resolve the issue. Certainly, Suu Kyi, though widely popular in Myanmar, must move cautiously through a thicket of aggressive claims and counter-claims. Democratization is far from a benign process, as Iraq, Egypt and Turkey have most recently shown; the merest semblance of political freedom releases many toxic fantasies forged in the furnace of despotism. In Myanmar, too, unleashed passions have been exacerbated by global economic and cultural forces. Realigning political identities, they’ve encouraged such patent incongruities as “militant” Buddhism, which thrives on widespread anti-Muslim sentiment. The fluidity of the country’s situation contains both promise and danger; it calls for both moral leadership and political pragmatism. While a return to military rule might seem inconceivable at this point, excessive centralization by heavy-handed civilian leaders can also breed sectarian passions in a multiethnic country like Myanmar. The best way to forestall them would be to accommodate, as Indonesia did, the country’s many sub-nationalisms through greater autonomy and federalism. Suu Kyi was an exemplary political prisoner, brave and principled. She now has to set a very different example for her fledgling democracy by using power wisely — or, in other words, sharing it broadly.